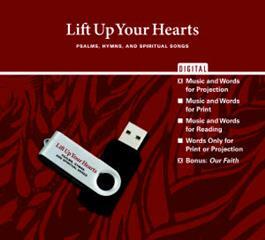 This edition features music and words in a projectable format to be used with PowerPoint, Easy Worship, Media Shout, etc. Our Faith in PDF format is also included. This edition features music and words in a projectable format (PDF and PNG files) to be used with PowerPoint, Easy Worship, Media Shout, etc., and assembled PowerPoint presentations for each song. Our Faith in PDF format is also included.